In the meantime, if you’re not yet taking payments from customers using a phone or tablet but like the idea of doing so, here’s how the major mobile payment platforms shake out. 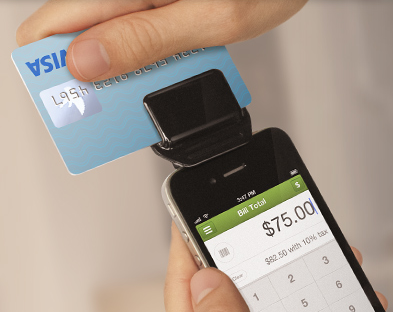 The longest standing mobile payments solution of the pack, Square was the first to think of the idea of giving people a free miniature card reader to plug into their device to use with an app that lets them accept credit cards on the go. The appeal is its simplicity—no hidden or setup fees, plus you pay either a flat $275 a month and nothing per swipe, or no flat rate and 2.75 percent per swipe. In case it matters to you, Square was co-founded by the same guy who co-founded Twitter, billionaire Jack Dorsey. With PayPal Here you can accept PayPal payments, credit and debit cards and U.S. checks, as well as send invoices directly from the app and record cash payments. 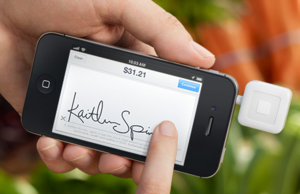 PayPal slightly undercuts Square and charges 2.7 percent per swipe. As another little perk to attract users you get a debit card with PayPal Here that gives you 1 percent cash back on eligible purchases. Intuit says its most popular GoPayment plan is only $12.95 per month and lowers your swipe rate to 1.75 percent per transaction, a great option for businesses that do high volume sales. If you prefer to skip the monthly rate, the swipe fee bumps up to 2.75 percent. QuickBooks users will appreciate the fact that GoPayment syncs with the accounting software. Like the other solutions here, PayAnywhere gives you the card reader for free, but it charges a bit less than some of them: 2.69 percent per swipe. Anyone who does business on the road will like that PayAnywhere figures out sales tax based on your GPS coordinates, as well as shows you heat maps based on where you’re selling the most. Apple iOS users can print a paper receipt to an AirPrint-enabled or Star thermal printer and cash drawer. By way of comparison, Square lets you print paper receipts with an iPad, but not a smartphone. And all the mobile payment platforms listed here let you provide customers with digital receipts via text message or email. Groupon Payments for iOS and Android phones uses the Groupon Merchants app which not only takes credit cards, it let you redeem Groupon vouchers. While the swipe rate is only 1.8 percent, there’s also a 15-cent charge per transaction, and slightly more if your business hasn’t partnered with the daily deal giant before; Groupon charges non-Groupon merchants 2.2 percent and 15 cents per swiped transaction. While the audio jack reader is free, a special phone case that lets you swipe on the side of the device, as opposed to the top or the bottom, costs $100.